This entry was posted on December 22, 2015 at 8:45 pm and is filed under Evil, Picking sides, The Way We Live Now, Thieves, Uncategorized. You can subscribe via RSS 2.0 feed to this post's comments. Christ Driving the Money Changers from the Temple is the wrong analogy. The money changers were around (not in) the Temple so Jews who came to donate the required amount (a half-shekel, I believe) could do so with a new shiny coin, appropriate to the occasion. 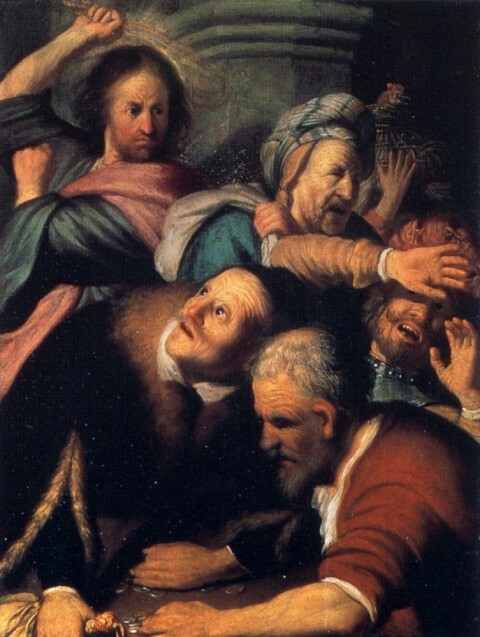 The money-changers represented the willingness of the Jews of the time to pay their debts to God with a flourish and a smile.